Kids between the ages of 2-7 love dressing up as their favourite characters / superheroes at home, yet when they get to the mountains (the most heroic landscape on the planet!) they were made to look like everyone else. Imagination was being restricted rather than encouraged in some of the most spectacular scenery on the planet. Magic was being missed. We had to do something about it so we created Dinoski – Roarsome Winterwear for Kids. All suits are unisex and fully waterproof, including microfiber insulation, taped seams and aqua seal zips. 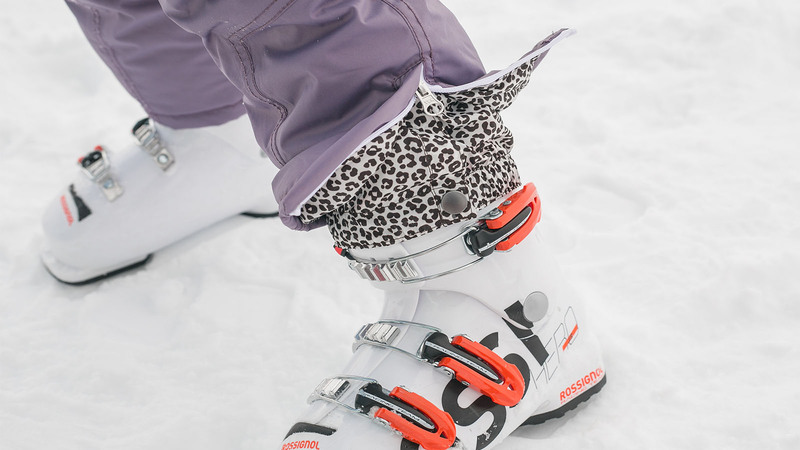 The skiwear has breathable lining and outer fabric, quick dry spandex thumb mitts, inner-boot covers and outer-boot zips, as well as adjustable hoods which can be worn with, or without a helmet. Considering the fact that our whole brand revolves around the great outdoors, it’s important to us that we do what we can for the planet. 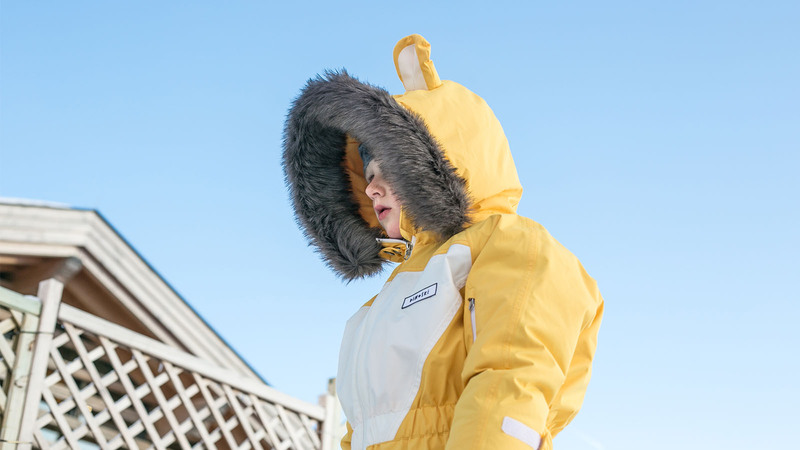 We use recyclable fabrics, eco-friendly dyes, PVC free clothing treatments and faux-fur on our hoods. To bring our suits to life we worked closely with children’s illustrator Jane Foster, who created a character and storybook for each suit in the range. More than buying a ski suit, we want people to feel like they are adding an extra member of the family to their trip and we want kids to feel as though they are going to ski school with their best friend. We also went a little wild and spent a big portion of our marketing budget on an American school bus which we shipped over from the US and converted into a mobile shop, complete with a showroom, darts board, coffee bar, 4 bunk beds, solar panels and even a roof terrace (including a golf tee!). The thinking here is that if we are selling the dream of a fun outdoor lifestyle then we need to be living it too! We will be navigating the Dino Bus on a promotional tour of the Alps in February in partnership with Powder Byrne. Follow the adventures of @thedinobus on Instagram.